Everyone can Get on Board! Fixed Route Bus Access, through the provision of resources in alternate formats, ADA improvements, and other measures, helps persons with disabilities and the general public utilize existing fixed route service. Website content and other resource material is available in alternate formats and in alternate languages upon request. Contact us by phone or email to request information in an alternate format or a language other than English. Please click below to access Spanish Language and Large Print bus schedules! Check out this helpful ADA Rider Guide for Fixed Route and Paratransit (DART). Click HERE to view or print the guide! Our goal is to increase the number of bus stops that are accessible to persons with disabilities. We plan to replace and add 50 bus shelters and 25 benches at bus stops throughout our service area. All bus shelters will be built to American with Disability Act (ADA) standards. As of May, 2018, we have installed 20 new shelter amenities and construction of passenger amenities at five (5) bus stops, including the Monkey Junction Transfer Station, is currently underway. Service dogs are trained to perform specific functions for their owner. When they are on a Wave vehicle they are “at work” performing important tasks for their owner, or they are siting quietly waiting for a command. Service dogs are under the control of their owner at all times. Service dogs are not pets. Please do not touch or otherwise distract a service dog from its work. 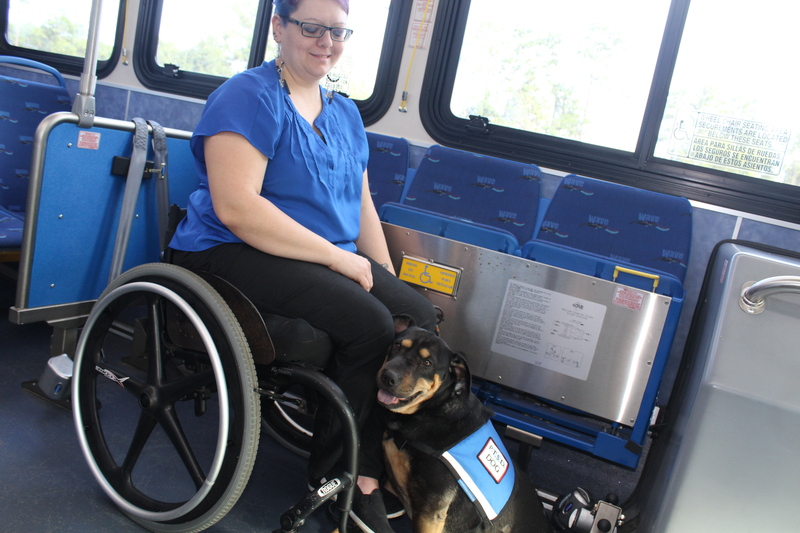 How should a service dog behave on the bus? Service Dogs should sit or lay quietly at the foot or side of the owner’s chair. They should only move about if they are performing a task for their owner- such as picking up a dropped bus ticket or pulling a wheelchair. You may not even know a service dog is on board the vehicle. What happens if someone brings a pet on the bus? Pets are not allowed on any Wave Transit vehicle. If a driver determines that a dog is a pet and not a properly trained service dog, the customer may be denied a ride or asked to exit the vehicle. Do I need to bring documentation for my service dog? No, you are not required to bring or show documentation for your service dog. However, service dogs must show, through their behavior, that they meet the requirements of Wave Transit’s policy and Federal law (Americans with Disabilities Act). Service dogs must be under the control of their owner at all times and must be trained to perform a task for their owner. 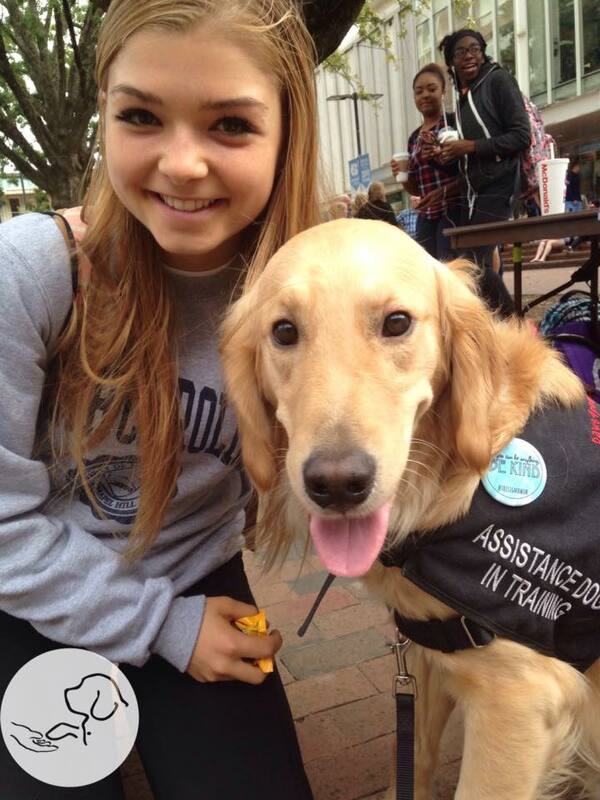 Do service dogs always wear those cute vests? No. Some service dogs do not wear vests. A vest indicating a dog is a service dog is not required by Wave Transit. We have over 400 bus stops in our service area. Many of these stops are wheelchair-friendly however, some are located in unpaved areas with no sidewalk access. Work has begun on a map to indicate which bus stops are paved, and connect with safe paved surfaces for travel beyond the bus stop. Google Earth is a resource that can be utilized now to determine if a bus stop is wheelchair-friendly. All Wave bus stops can be found by searching for transit directions on Google Maps. Select Google Earth to see an image of the bus stop and it’s surrounding area.